This entry was posted in Mrs. Wynne and tagged 4th Grade, Sports by wynne. Bookmark the permalink. What an interesting question to ask your fellow bloggers. In the Winter time I like watching Australian Rules football, do you know what that is? It is a football league in Australia with 16 teams from all around the country (but most teams are from Victoria, the state I live in). There is a team from Geelong called the Geelong Cats which is the city I live in and most people in Geelong go for the Cats! In the Summer time I like to watch Australia play cricket. I don’t think cricket is played much in America. You prefer to play baseball I think. Are you going to watch the Soccer World Cup when it starts? My favourite sport to play is Footbal because it’s athletic, fun and it keeps you fit. Also I like to play it with my brothers Lockie and Blake.But its still very fun. I’m older than my brothers. They always beet me. Do you have any brothers or sisters? Hopfuly we can SKYPE soon! 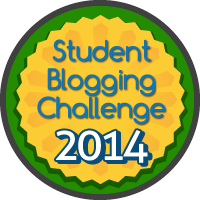 From your blogging buddy Jazmin at Leopold Primary School in 2KJ. This is a cool post and I am going to answer your question. Why did you both get to write this post and why didn’t Mrs Moore write the post? Thanks for the comment. I play on two teams one I’m foward the other one I’m defense. We never heard of Australian Rules Football. Thanks for telling us about it. We watch baseball in the summer. The baseball team we like to watch is the Detroit Tigers. Yes, we will like to watch the world cup also. Thanks for the comment Jazmin. I have 3 sisters and not including me! And it might be hard to Skype because we are 14 hours apart, but maybe we can make each other videos in the Fall. That’s a good question. We got to make our own post because we’re getting to become 5th graders. The 5th graders in Mrs. Moore’s class get to write their own posts. It has to be something that were interested in or care about. I love soccer as you know and I play midfield. I’d have to agree that Soccer is my favorite. It’s fun to jump up and blast the ball. I wonder what your favorite sport is Mrs.Moore. I agree that Soccer is a great sport. My favorite sport to play is Softball. I have been playing for my church team since I was 12 years old! I also enjoy watching American Football with my family in the Fall. Thank you! We are so happy you visited us! I’ll be sure to check out your blog, as well. Yes, the World Cup is very exciting to watch! I’m always amazed at how much energy and endurance the players must have to cover that large field. I haven’t heard of netball before. Are there any other sports that are similar to it? I’v never played real soccer.